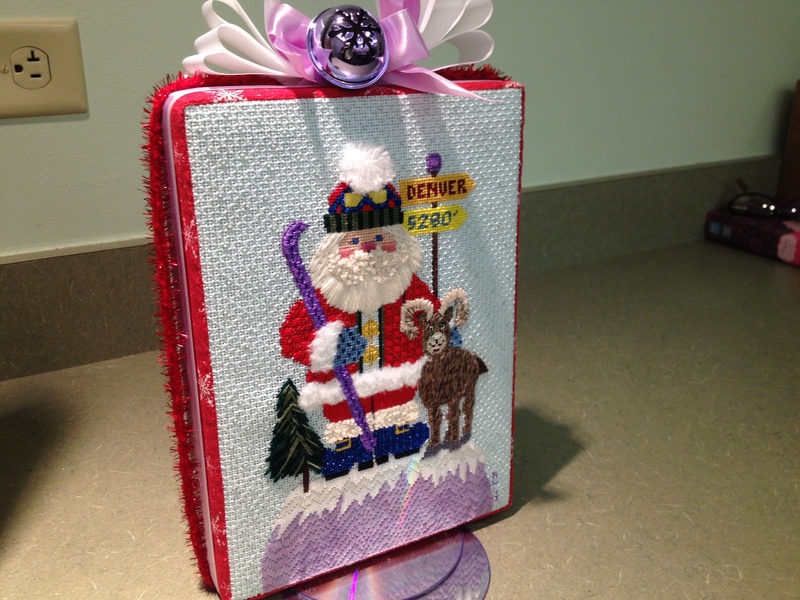 Denver’s fastest-growing needlepoint group, the Colorado Columbine Chapter of the American Needlepoint Guild, has members who stitch devotedly AND shape their projects into finished items. Whether a finished piece is framed, puffed into a pillow or structured to stand up for display, needlepoint is meant to be seen and enjoyed. Here are some of the goodies shown at our September meeting! 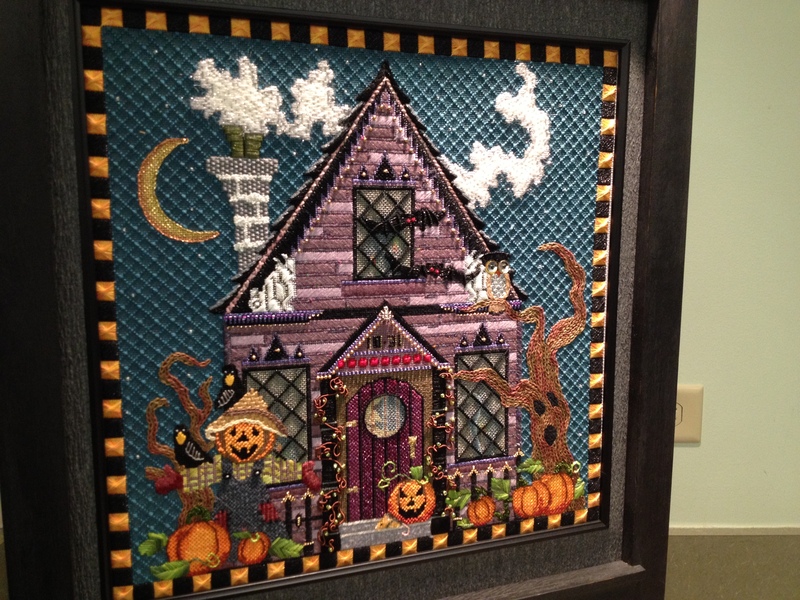 Spectacular detail on this spooktacular needlepoint firescreen. And, many in the group have been diligently working on their Libby Sturdy-designed Santas. Well, SOME of us have finished him… and here is Mary M’s adorable guy, close up and shown proudly by his stitcher. Mary M’s Mile High Santa, finished! 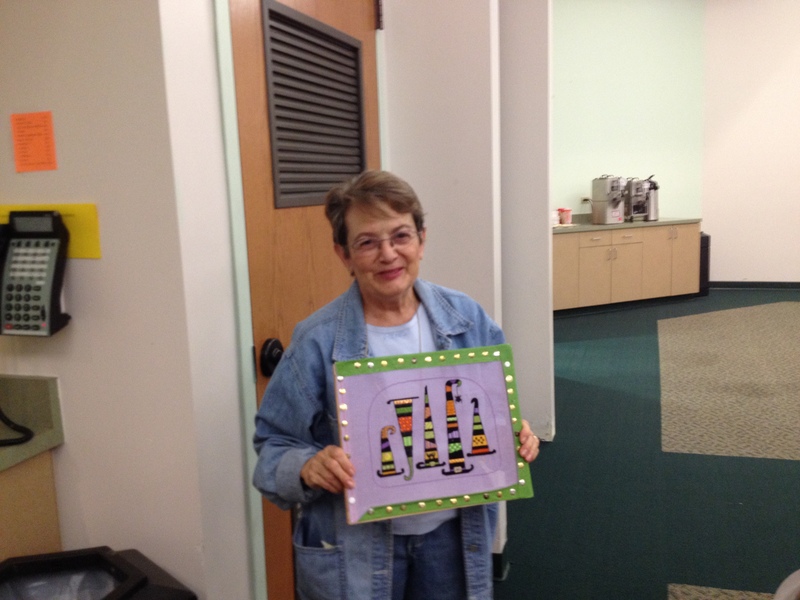 Well, we had more to ogle, when Carolyn showed off her adorable Witches’ Hats piece designed by Caela Tyler. She had great fun stitching it! 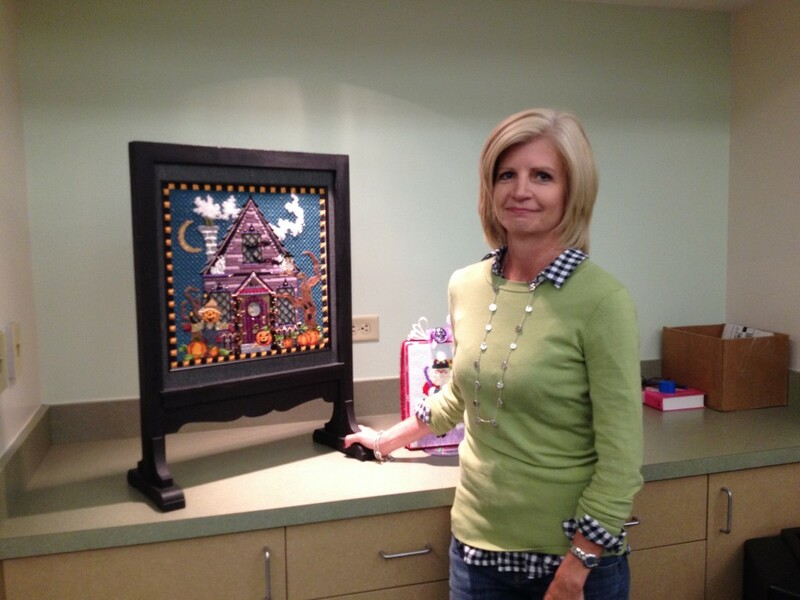 Carolyn’s Halloween piece, designed by Caela Tyler.